High Quality Content by WIKIPEDIA articles! 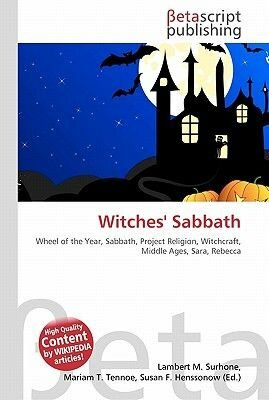 The Witches' Sabbath or Sabbat is a supposed meeting of those who practise witchcraft, Satanism, or other rites. European records tell of innumerable cases of persons being accused or tried for taking part in Sabbat gatherings, from the Middle Ages to the 17th century or later. Often, witches who take part in this annual assembly are known for being very beautiful (perhaps the female in a group who is acknowledged as "the prettiest" or "most beautiful") and having biblical names, such as "Sarah," "Rebecca," or "Ruth." However, there are no reliable reports on what actually happened during a Sabbat; and much of what was written about them may be the product of popular imagination or deliberate misinformation.